First, I want to thank every Grange that donated money or items to the Foster Care program last year and every Granger that suggested doing so at a meeting. As you know the monetary donations will continue through the next year. Additionally, the CWA and Junior Committees will have their own special projects on behalf of Foster children that I’m sure you’ll be hearing more about. Please be generous as you can. Perhaps you can designate a country store’s earnings for the Foster Care project. I am making a special plea to all of you wonderful, creative memory book makers. The memory books are a large hit among foster children. Memory Books, as many of you know, are scrapbooks of children’s lives. They contain photos, information about medical history and the child’s birth family, and other treasured items that the child can take with him/her when moving. They are also a valuable tool for workers to help get kids talking about their experiences and past trauma. Although it is not part of the “official” Foster Care project for this year, there is a desperate need for more of them. If any of you can offer your time and talent, I would greatly appreciate it. The best part? No need to store the books until next year’s State Session. Simply find me or contact me and I’ll come and get the books from you. 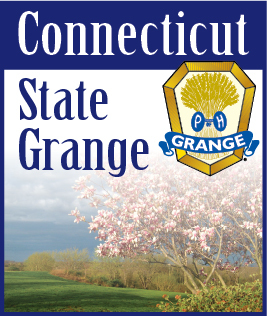 If you can make some memory books, don’t forget to include it on your Grange’s Community Service report. Thank you!! !